Are you looking for a reputable bat removal or wildlife control company in South East, MI? In order to find one you need to do a little digging. There are a handful of trustworthy, ethical, and legitimate wildlife control companies in South East, MI. Then there are the companies on google with nearly 60 listings across google maps. They use several different "business names" which are keyword stuffed and sound like a local company. Often times they use whichever city the fake company is listed in the "business name" title. 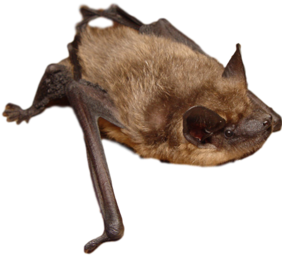 You will see names such "Bat Removal Lansing", "Bat Removal Rochester", "Bloomfield Hills Wildlife Removal", etc. The list goes on and on. On all of these fake Google Maps listings there are different phone numbers for every listing. These are all directed to the same outfit. When you call the phone number you typically get the same person at the other end of line answering their phone with a generic company name such as "Wildlife Removal". These companies fill their reviews on google maps with fake ones. Whenever you click on the person leaving the review, it's typically someone with a generic photo pulled from the internet. If you dig a little deeper you will see that person leaving the reviews have left other reviews for other service companies. The thing of it is all of the reviews are in several different states. Do all these people have several homes in different states across the United States or do they just move a lot? These companies are taking it even further. They are leaving fake negative reviews on their competitors google maps listings. We have been hit with a handful of fake reviews and other ethical, well established companies are getting hit with the same fraudulent reviews. Here are links to a few of our fake reviews. This is not only spam, it's a scam and a trap. What happens when you are awaken by a bat in the house? The first thing you might do is google a "bat in the house" or look for a bat removal company near you. Because you are so scared you start calling the first "company" that comes up. You see "Bat Removal Clarkston, MI" as a company. This sounds good to you. You think they are a local company in the area so it only makes sense to call that company. Well what happens when they show up and it's not the company you thought you called? You get some generic invoice or estimate with a different number than the one you called. There isn't a company name, website, email, or logo. Now you get an invoice and an estimate from a "company" you know nothing about. How Can You Tell if the Wildlife Control Company is legit or Not? First thing to look for is a legitimate website. Something with the company name in it. Ours is MichiganWildlifeSolutions.com and MichiganBatControl.com. They clearly state or company name in the website address. Most of these fake listings use the website builder provided by Google My Business. These are just one page listings with .business.site at the end of the web address. Research the phone number. Is this the phone number they list on their website if there is a legitimate website? Does the company have a real logo? Or does it look like someone made it on Microsoft Word. Are their any photos of the companies trucks, employees or place of business? When you make the phone call, how do they answer? Do they answer by using a generic phrase such as "wildlife removal"? You need to ask questions such as, who is coming to my home? What is your business name? Most of the time they will give a name different than the one they have listed. Ask to see a copy of their liability insurance and worker comp insurance. You can look up Workers comp insurance here. Is the company incorporated in the state of Michigan? Look up to incorporation documents. Notice if the name is used multiple times in a small geographical area. Does this make sense? What was the date of incorporation, and does it match the experience they claim? When searching look by "key word." Business Lookup. After you have done all your homework, what happens when a company with a different name on the truck shows up? Chances are you have been scammed. What happens next is the company gives you a high dollar estimate with nothing to back it up. They claim to give you a "warranty", but in the end the language is so generic they aren't legally binding to their guarantee. They are very careful how they word their estimates. They offer you a service for "ridge guard installation", but really that's just part of it. They are providing a bat removal or wildlife control service, but they don't tell you this on the contract. So when you call, because you have a bat back in the house they tell you, "that's not what we were hired to do. We were just hired to do repairs on your house." They are very tricky. Just like any service company you hire, it's always the best idea to do your research. Not all companies are equal. We have many great local wildlife control companies and bat removal specialist in the area. We have created a page to help customers better understand how to hire a bat control professional. This isn't just a problem here locally it's a major problem nationwide. Not only with just wildlife control or pest companies. Spamming the internet is also a major problem for Attorneys, locksmiths, plumbers, etc. Google is cracking down, but they could do a better job. By getting the word out it will help make the service industry a much better place. When dealing with a "company" that has over 60 listings using different company names it hurts all other small business. Ethical businesses that play fair are getting hurt. When you go from competing with a dozen or so real companies, now you are competing with 60 plus of the same company with different names. We have been in the bat biz for nearly 20 years. When we started in the wildlife control industry we called ourselves Michigan Bat Control, Inc. We now operate under the name Michigan Wildlife Solutions, LLC. We are the same company, but do have different listings, because many of our old clients still know us by our old DBA. You will know when you call us who you are dealing with. Here is a video on how our company evolved. Thank you for posting this! When you schedule an appointment with this company they state when the technician shows up at your home they will have their company logo on their truck and on their shirt. This brings comfort to me as a customer and a woman! All of our trucks have our logo, company name and phone number. All of our technicians will be dressed in a company uniform. Each one of our guys carry their own business cards with their name on them. When you get an estimate it will have all of our company information on it. Company name, website, email, phone, etc.